Wednesday 8th June 2016 - A quick visit to Clawthorpe Hall and to the Royal Hotel. 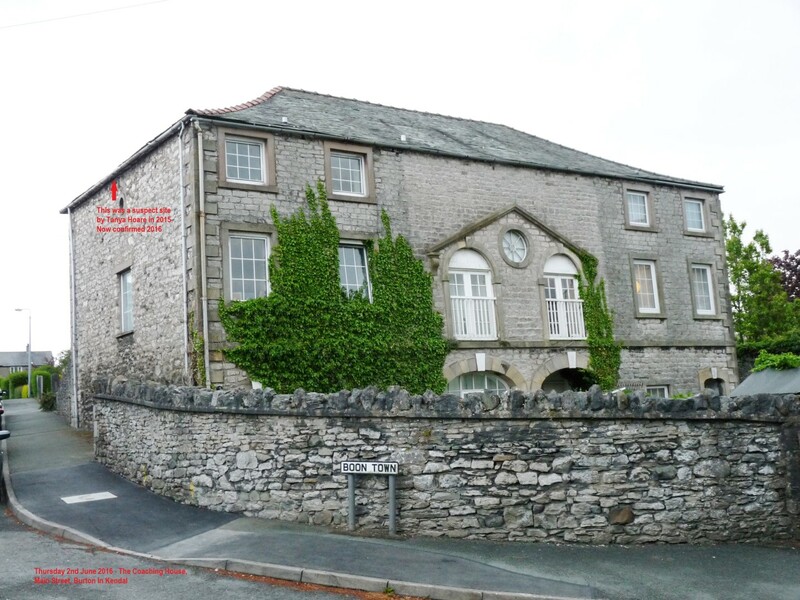 Just on the spare of the moment, with time on my hands I decided to go on behalf of the group and make myself known to the owners of Clawthorpe Hall, it was well overdue we have been talking about the site for such a long time but had no definite records until now. I was fortunate to meet Mr. Edward Duckett the MD of Duckett Building Services who own the buildings and explained to him about our group and showed him photographs etc. 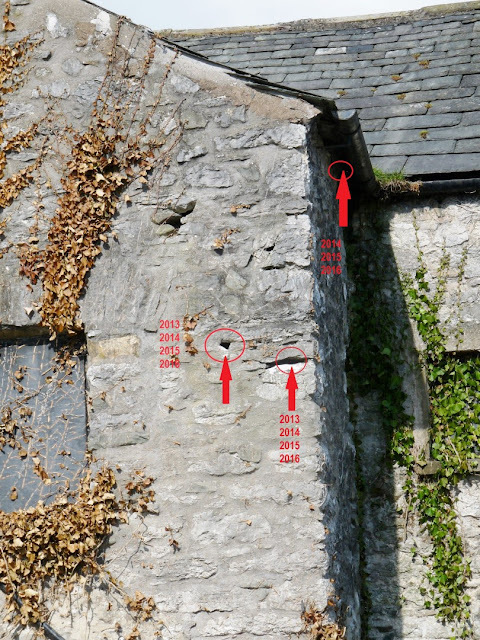 He was very interested and actually showed me the area where the Swifts nested. 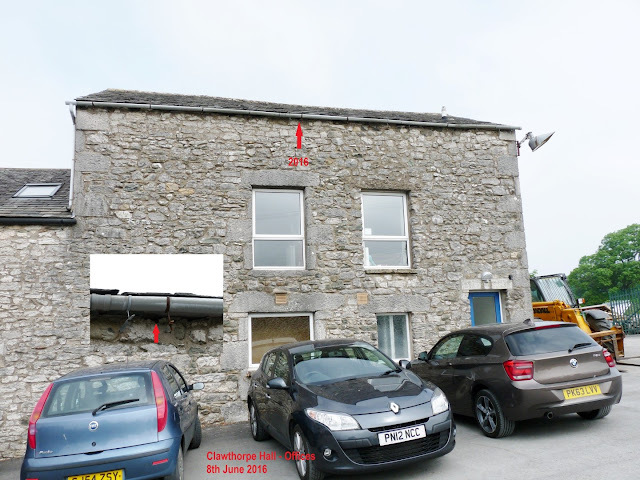 He also showed me a staircase at the end of the building which every now and again he does have to rescue Swifts which have somehow managed to find there way from their nest site and somehow go through and into the building, in which case he catches them and releases them back outside. Whilst there I actually saw six individual birds hawking the skies directly over the Offices and also I was extremely lucky to see a single bird go into the building which after ten minutes came out again, I have marked the nest site with a red arrow. Sunday 5th June 2016 "Photo showing Kestrel carrying Swift"
Nothing whatsoever to do with our Burton Swifts, but still very interesting and it occurred somewhere in the North of England in the last few days, when it was witnessed that a Kestrel actually took a Swift in flight. I could have believed it if it had been a Hobby but would never think of it with a Kestrel! I am told by a friend that the photo is of a first year male Kestrel (immature from last years chicks). 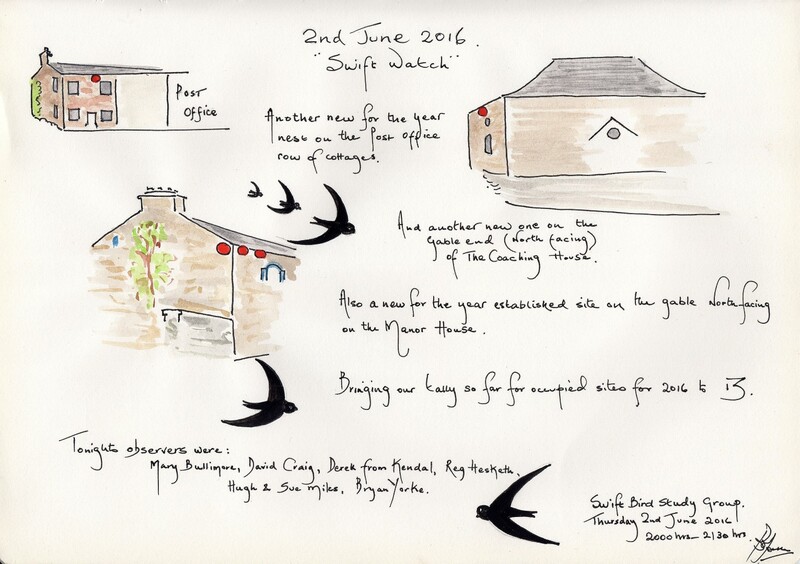 Friday 3rd June 2016 "Cocking Yard"
Some great news as just arrived from Jane Phillips, which is confirmation that a pair are definitely nesting on Hangings Farm in Cocking Yard, this taking our total nest sites tally up to 14. 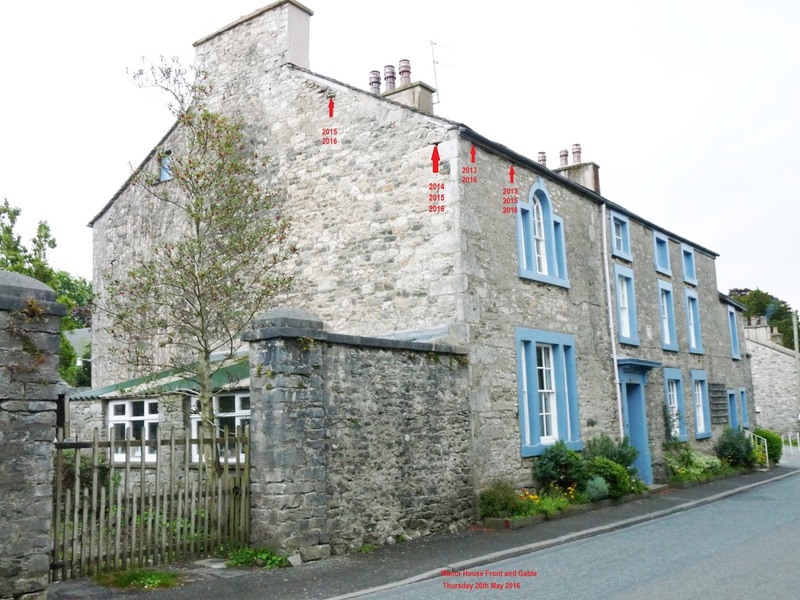 Worries are now set aside because the property has recently had pointing renovations to the front elevation. We were so pleased to learn that the more recent occupiers of the property are Swift friendly people who were so pleased to instruct the builders to leave some holes to their previous nesting sites while this work was being carried out, which it is great to see they have now returned and are using at least one of their original sites. 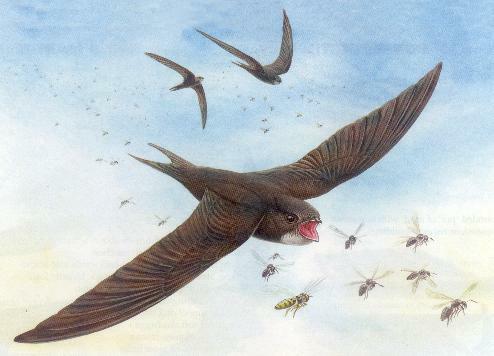 Swift Watch - Thursday June 2nd 2016 - Sites off Main Street, Burton In Kendal - 2000hrs to 2190hrs. 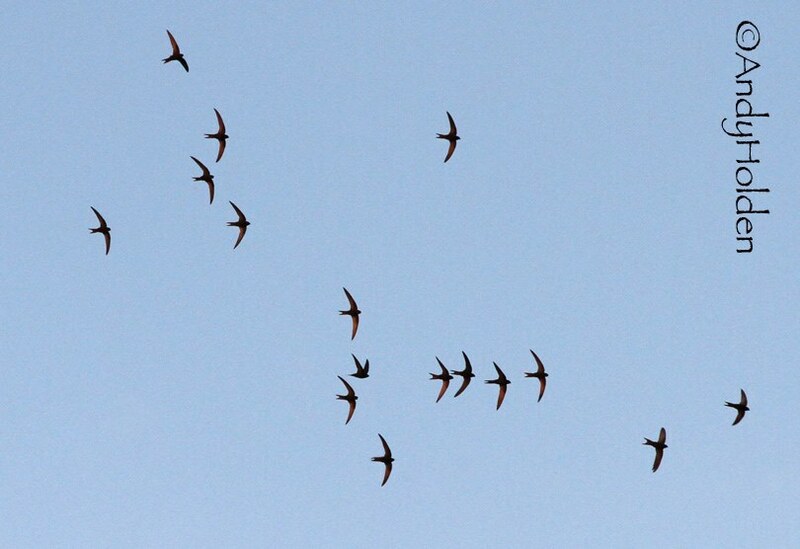 Last night we had more great Swift observations, and managed to add a further three nest sites to our records for this year bringing the total so far to 13 confirmed nest sites. 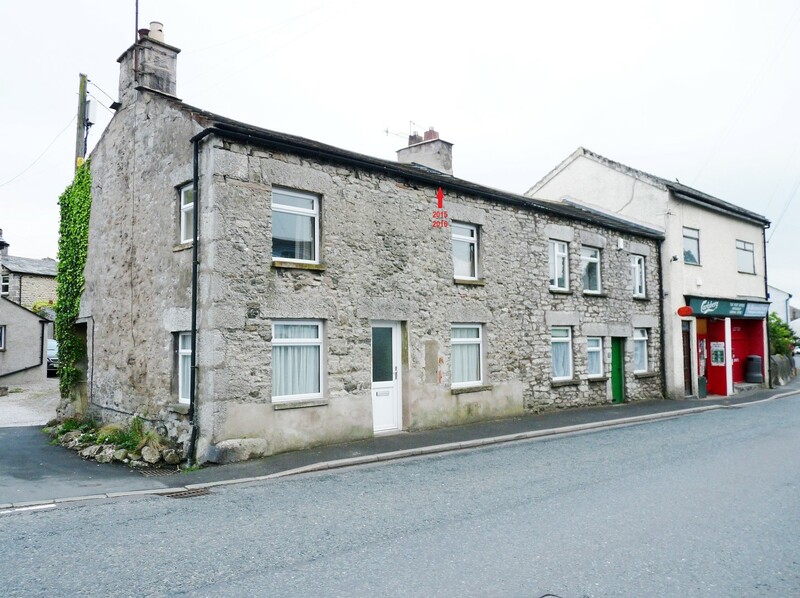 We confirmed a new site for this year on the small cottage on the Post Office Row. The site was also used last year (2015). Also this was to be the last site vacated with the final birds leaving Burton on 16th August 2015 (exceptionally late). Moving on whilst briefly checking Cocking Yard and the rear of the Royal, we did eventually record more action on the front elevation of the Royal Cottage Annexe with a site to the right hand corner being used (already established last week). Also several birds were seen "banging" at various points along the guttering, so we could not make our minds up whether these birds were full mature adults or immatures of the first year. We also made particular note to one bird which did seem to enter a completely new nest site but only for a second before it flew off again. Because of this short encounter we decided to record it as a possible, but not to make any record at this stage. Moving on past the Royal with nothing showing on the West side elevation, we moved further down Main Street to do our observations across from the Coaching House and the Manor House. Reg saw a Swift using a site on the Coaching House North side elevation quite close to the small circular window, a site which was suspect from 2015 when Tanya Hoare thought it was being used. Also the Manor House showed further activity with birds seen using both of our 2016 already recorded sites on the front elevation. But we were in for a extra treat with a further bird witnessed using the long established nest site which is near the base of the rake on the North elevation gable end, this was a new record for 2016. Tonight's observers were: Mary Bullimore, David Craig, Derek from Kendal, Reg Hesketh, Hugh and Sue Miles, Bryan Yorke. We went on a little tonight from 2000hrs to 2130hrs and we all agreed to try and meet up again next Thursday at 2000hrs at the Burton Memorial Hall when all would be welcomed.